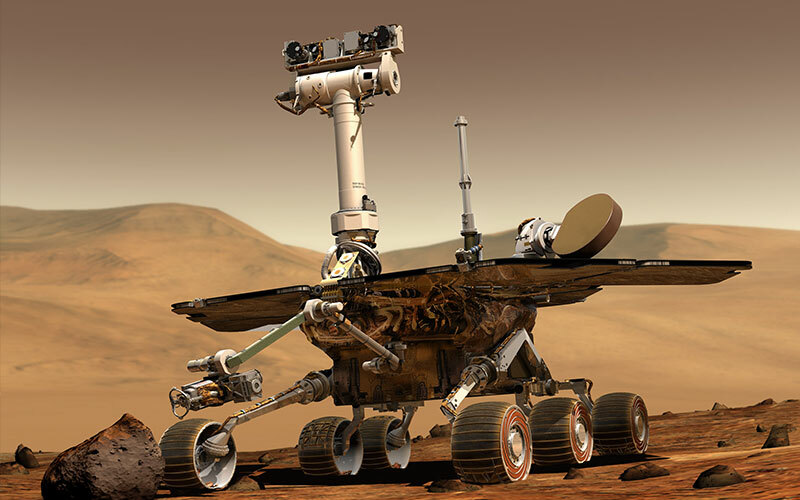 There was a big news splash about two articles that appeared in Nature about Mars Exploration Rover Opportunity's landing site. 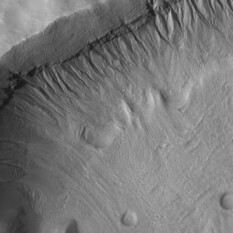 The articles suggest two theories for the formation of the layered sulfur-rich deposits at Meridiani Planum that do not involve standing liquid water. 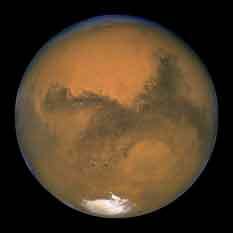 Back in August, there was a false alarm being circulated by email that Mars was going to be super-close to Earth on August 27. An opportunity for Spirit to see Earth and Venus together? I received the following question by email last week: "Do you know if the Mars rovers team has any plans to photograph Venus and Earth together in the evening sky from either rover site? They will be closest together around Sept. 29th." 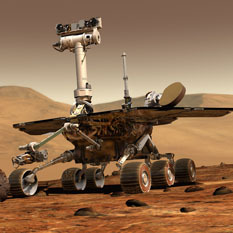 During April 2005, the Mars Global Surveyor happened to pass relatively close to Odyssey and Mars Express. What resulted were remarkably clear pictures of human-made spacecraft orbiting and alien world.